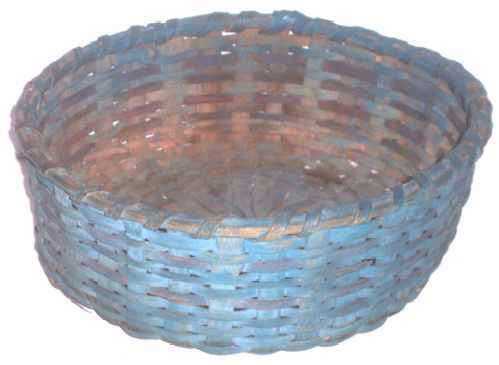 Presented here, a wonderful 19th C. Handleless Splint Basket in the absolutely best blue paint. The overall condition is high outstanding. The painted surface is nice and dry, just the way we like it and the color is outrageous! They just don't get any better than this! The basket is slightly out of round, measuring 10-7/8" - 11" in diameter and 4-4-1/4" high depending on where one measures. Not a problem, but mentioned for the sake of accuracy.